Railspur No. 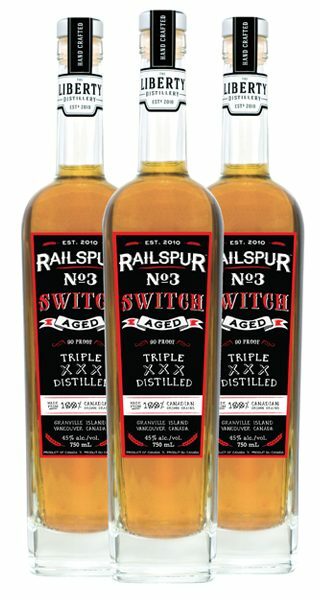 3 Switch begins with 100% organic BC barley and triple-distilled in our single copper pot still; it is then barrel-aged for just under one year in used 220-litre Bourbon barrels to slowly gain character, complexity and colour. 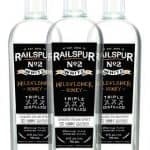 Inspired by the unique spirits indigenous to other countries, Railspur No. 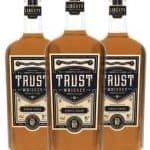 3 Switch is a twist on traditional whiskey. Not having met the mandatory three year mark, this young (almost) “whiskey” is drawn from barrel early to create a mouth-filling assortment of flavours. On the nose, richness from the Bourbon barrel is revealed flirting with the young barley-based spirit. On the palate, subtle flavours of vanilla, caramel, and cacao bean present themselves, culminating in a lingering graham cracker finish. Railspur No. 3 Switch has a complex aroma of barley, wood and spice. It is a full-flavoured, full-bodied amber-coloured “whiskey” with a rich, intense nose. It will astonish your palate with nuances of vanilla, sarsaparilla and flavours of dried fruit. At 45% alc./vol., one sip reveals an intricate bouquet of with a smooth, muscular body and a powerful long finish that will engage all spirit aficionados, masters of mixology, and those who dare.